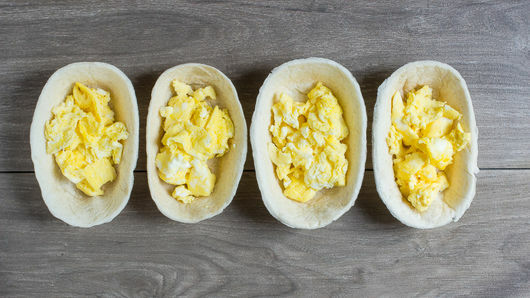 Arrange 4 Old El Paso™ Taco Boats™ soft flour tortillas on serving tray. In small microwavable bowl, beat 3 eggs with fork. Microwave on High about 90 seconds or until cooked. 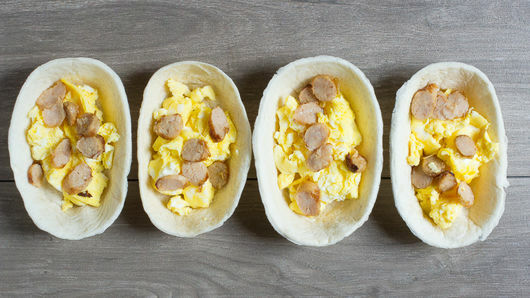 Divide cooked eggs evenly into tortillas. Thinly slice 3 cooked breakfast sausages; place on microwavable plate. Microwave on High about 20 seconds. Coarsely chop and divide sausages evenly over eggs. Over each serving of eggs and sausages, sprinkle 1 tablespoon shredded Cheddar cheese. Top with diced 1/2 avocado. 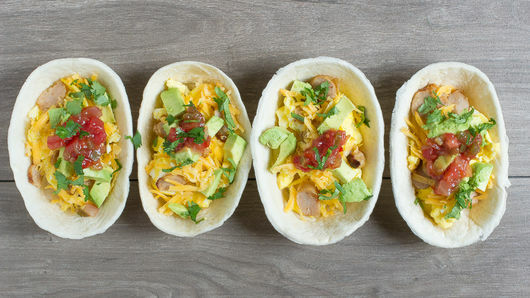 Sprinkle 2 tablespoons chopped fresh cilantro evenly over burrito bowls. 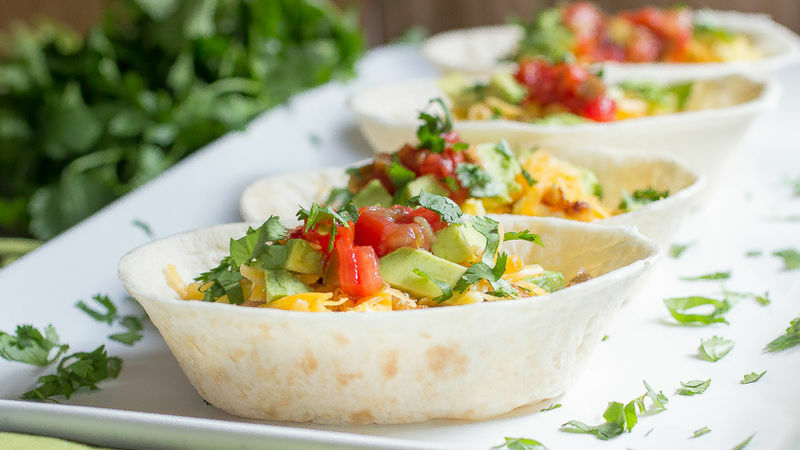 Top each with 1 tablespoon Old El Paso™ Thick 'n Chunky salsa. Serve immediately. Dice the avocado while it still has the skin on it, and then scoop it out with a large spoon. You can easily use cooked bacon in place of the sausage for that breakfast flavor.